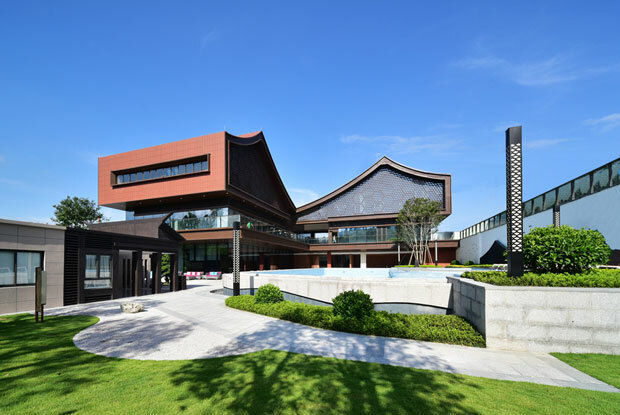 ZHUBO DESIGN designed this southern Fujian style community club for Poly Group/ Sales Center located in Chenxiang Town, ChangtaiCounty, Zhangzhou, Fujian, China, in 2018. Take a look at the complete story after the jump. 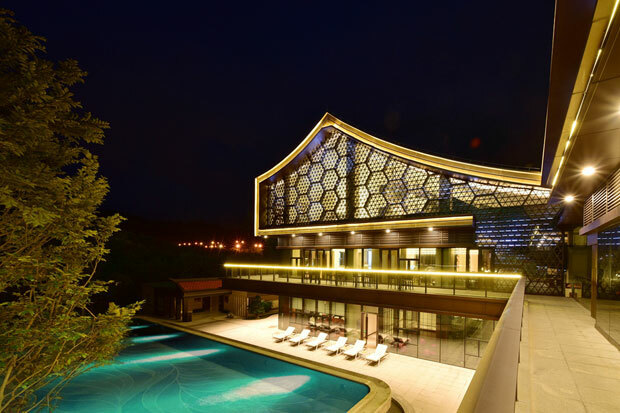 From the architects: Poly Courtyard is located in Chenxiang Town, northwest of Changtai County, Zhangzhou adjacent to Xiamen. 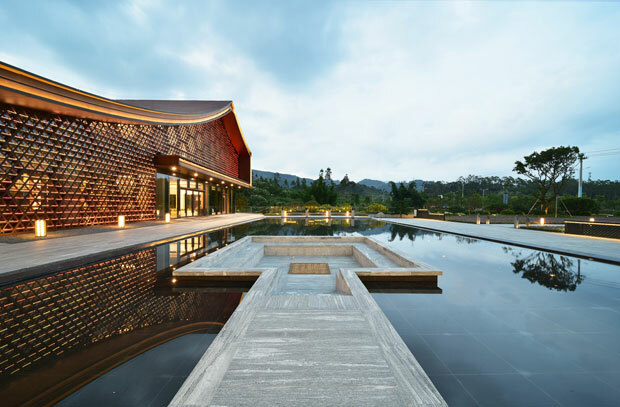 We were invited to create the project in a southern Fujian style community club for Poly Group, which will serve as a sales center at early stage and a public club for the entire community in later period. By inheriting the cultural philosophy of “harmony builds goodness”, it has been the direction we are exploring to naturally integrate traditional elements into the design. We carried out studies from three aspects, extraction of architectural forms, creation of interior space, and application of building materials. The project base is adjacent to the arterial road in the south side as the gateway of the whole community, with a mountain stream of low water level in the east side, the entrance axis of the whole community in the west side, and a residential group the north side. We have designed corresponding coping modes for different periphery states to establish the final architectural form and organized the interior space. 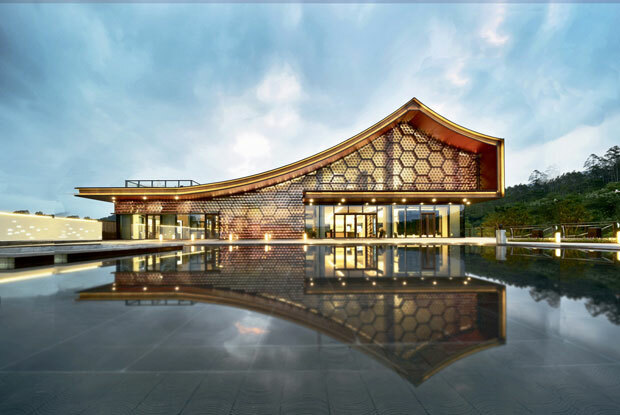 Studies on existing “First Village of Southern Fujian”, Daimei Ancient Village, Dongyuan Town have been conducted according to the regional characteristics of Zhangzhou, and arc ridge, the element in its architectural style of flush gable roof swallowtail ridge is extracted.. The final architectural form is established through transformation and combination of modern composition methods. 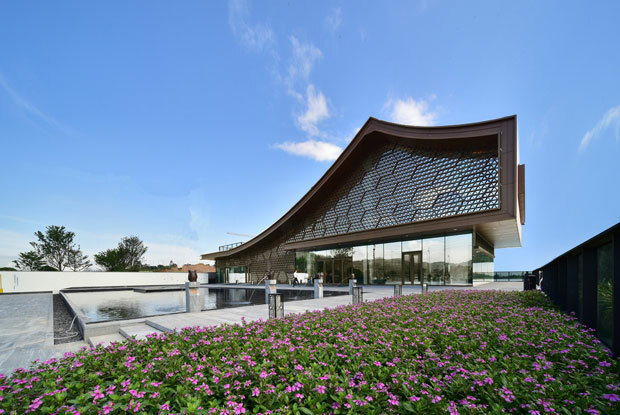 The large overhangs used in the main façade can depict the overall image, intensify the sense of space depth at the entrances, and correspond to the limit access in the actual internal function area. The building is designed in three storeys corresponding to different environmental factors, thus creating different space feelings. 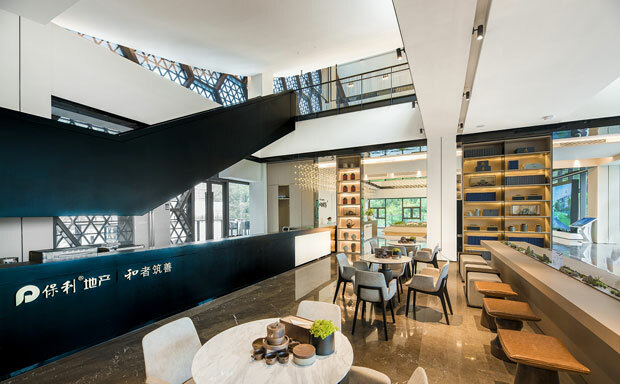 The ground floor connected to the natural landscape level will serve as a private leisure area with more semi-open spaces to blur the indoor and outdoor boundaries. The second floor under the arc roof will serve as a quiet meditation area to better experience the special fun inside the traditional elements. The first floor directly connected to the city will serve as a public activity area to link and open up the upper and lower floors. A core area is set for penetrating and connecting the semi-passage area where the arc of the roof changes, which undertakes main transport function and manifests the characteristics of each part at the same time. According to the characteristic of “external brick and internal stone” (a mixture of brick and stone in the wall) of traditional residence in southern Fujian, the form characteristics of tile screen are selected for the texture of the façade. Modern metal materials are used to create a unique style. At the same time, the curtain wall keel is transformed to integrate with external texture tightly, creating a changing light and shadow indoors with the shifting of time and light ray. 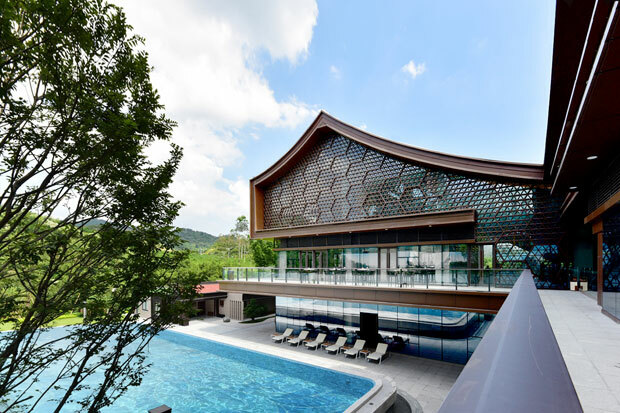 The roof and wall naturally matching into an integral whole through red terracotta panels can display a sense of modern composition in a tile-mimetic color.